It’s that time of year when you have to decide what the wine lover on your holiday gift list wants. If they’re like me, the answer is John Szabo’s new book on volcanic wines. I’ve worked with some of my favourite wine friends and bloggers to put together a few other ideas for gifts to get the wine lover in your life. 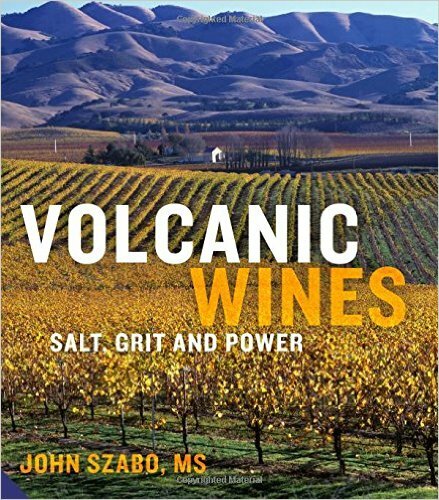 First, I’m going to give another huge plug for John Szabo’s latest book: Volcanic Wines: Salt, Grit and Power, which is the perfect gift for someone truly passionate about wine education. This is an informative read that will keep the wine geekiest among us happy for hours. I’ll be following up with a full review in the new year, but for now it’s topping my wish list and I know many of my wine-loving friends are hoping to find this under the tree on Christmas morning. I’m also going to suggest Icewine. This one is a bit of a surprise, as I love Icewine but have never been big on having it in the house. We like it in moderation, so it’s the type of thing I’d only pull out when we had guests over and even then you hardly make a dent in the bottle. Enter my discovery of Icewine cocktails! Add a little to your favourite sparkling wine for a special treat or mix it into a martini for a hint of sweetness. Now that I understand the versatility of this Canadian favourite, I’m all about having it on hand. The 2015 Chateau des Charmes Vidal Icewine comes in a cute package (perfect for gifting) and is a great pairing for blue cheese or a fun addition to your holiday cocktails. “Chew Street has teamed up with Swell Made Co. to curate two holiday gift packs for the holiday season. One of them is perfect for the wine lover on your ‘nice list’ this year. The Wine Love Gift Pack is a collection of chic, witty and fun items from stationary to totes specially packaged for the holidays. For each one purchased, Chew Street and Swell Made will buy a Christmas dinner for clients of the Yonge Street Mission, an organization that has served Torontonians in poverty with dignity since 1896. 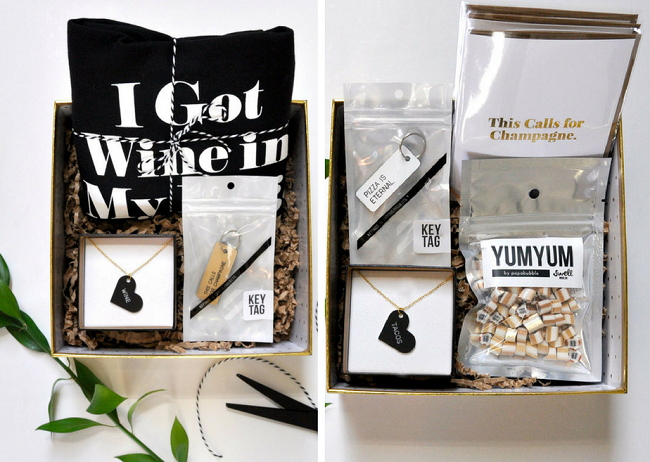 The Wine Love Gift Pack ($62.00CAD) is perfect for the oenophile, casual wine enthusiat, or wine newbie who likes eye-catching, minimal design. “When I’m asked what do wine lovers really want for the holidays, I usually say more wine. Which might intimidate non-wine folks. But fear not. One of the best gifts Michael ever got was a gift certificate to a really great wine shop. It came from my daughter and the shop was in San Francisco, where she lives. We live about 600 miles away in Los Angeles. Michael had a blast picking out his wines – bottles he’d probably not have bought for himself. But better yet, what a sweet way for the kid to suggest we come up and visit. So a well-thought out gift certificate can be a great way to give the wine lover in your life more wine. Unless, of course, you’ve got the funds to hire a sommelier to stock your cellar. That would be even better. Have some ideas we haven’t covered? Share them in the comments or on social! It’s officially autumn! I love this time of year so much and I’ve been signing up for races and yoga classes to celebrate the start of a new season. Even though I’m well past school age, September always seems like a great time for fresh starts and heathy changes. And I’ve had lots of great wine in my glass this month to share with you! Shawn and I have been traveling and tasting and having so much fun on our wine-infused adventures. I’m looking forward to sharing them with you in the weeks and months to come. But up first, a few of my favourite sips from the past few weeks. 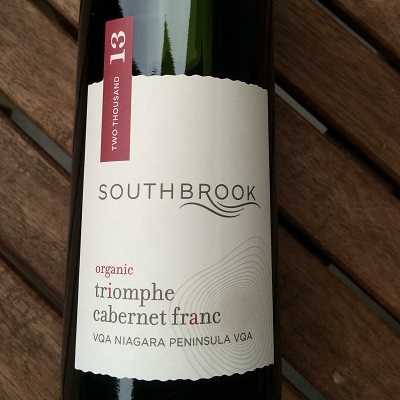 Southbrook Vineyards 2013 Triomphe Cabernet Franc – I am a big fan of Southbrook wines and of Ontario Cabernet Franc in general, so I was pleased when this sample arrived. And as I inhaled the aroma of this Ontario red, it felt like fall in a glass – black and roasted pepper, blackberry and wet earth on the nose and lots of earthy, spicy goodness on the palate (blackberry, strawberry, a bit of chili pepper). Even better, it’s organic, which is something Southbrook takes very seriously. I had this with a dish of wild rice and beans that Shawn made for me and it was a perfect mix of earthy flavours on a cold, rainy evening. I had spent my day taking an html and CSS course at Camp Tech (which I highly recommend) and let me tell you, a glass of this wine with a big bowl of rice and beans and getting sucked into part four of the excellent ESPN documentary on O.J. Simpson made for a pretty perfect way to end the day. 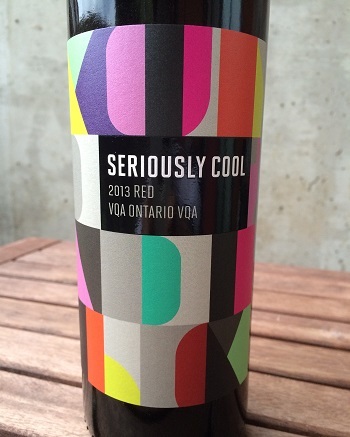 Southbrook Vineyards Seriously Cool Red Blend – The Seriously Cool series is more of an entry-level wine for Southbrook, but that doesn’t make it any less enjoyable. With its colourful and memorable label, it’s hard not to want to pick up a bottle. With dark chocolate, smoked meat and plum on the nose and black cherry and roasted plums on the palate, this is a really good food wine. Shawn and I cracked this bottle on a Monday evening, after we returned home from an adventure in Norfolk County (we’ll talk more about that another time). To celebrate the last day of our longer weekend, he made grilled cheese sandwiches with turkey bacon and we enjoyed an evening of comfort food and a marathon session of The Walking Dead (we’re trying to get caught up before the new season starts). This wine paired quite nicely with vacation day binge watching. 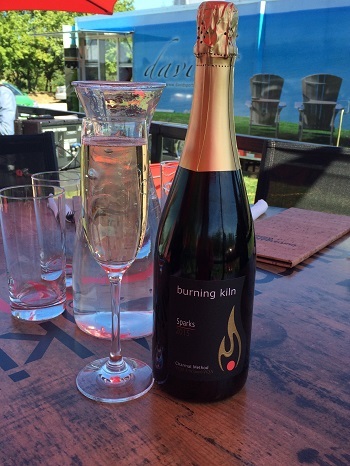 Burning Kiln Vineyards – Sparks – There’s very little in life that I like more than a good sparkling wine. It doesn’t have to be French Champagne (not that I’ll ever turn that down), but a well-made sparkling will always steal my heart. Such is the case with Burning Kiln’s Sparks, which is made with seven different grape varietals and has a little bit of biscuit on the nose, along with nice notes of lemon that follows through on the very crisp palate. It’s a pleasant, refreshing sparkler and it paired quite nicely with the perch tacos I enjoyed on the winery’s patio last weekend. Burning Kiln is on a beautiful piece of property in Norfolk County, a place that has seriously captured our hearts. We can’t wait to go back, and when we do I know that more of this sparkling will be enjoyed. Levendi Winery 2015 Reserve Chardonnay – I was lucky to recently attend the Napa Valley tasting event in Toronto (more on that in another post soon) and there I discovered Levendi wines. Their lively and fresh Chardonnay was a stand-out for me with balanced acidity and pineapple, pear and apple notes. This is a very good example of a California Chardonnay that could work both with food or on its own. A nice sipper that I hope to have again soon. This one is available via agent in Ontario, but you can grab their Cabernet Sauvignon (also very good) at the LCBO for a limited time. So what did you drink in September? Share what you tried and loved in the comments below or on social. Coming up in October on the blog, we’ll continue to look at the wineries of Lake Erie North Shore and our German wine adventures and I’ll give you a deeper dive into two recent tastings I did this past month, which I wanted to dive into with more detail. And I may even share a few more personal posts about my recent wine foibles – I’m told they’re pretty funny! *All wines tasted this month were either samples or tasted at events where Shawn and I were guests. And thank goodness for that because my wine budget is already completely out of control and running this blog is a very expensive hobby! Opinions remain, as always, our own. I had planted a large number of Vidal vines in 2009, with the intention of developing a late harvest and Icewine line of products from Vidal juice, primarily as an export product. I had an acquaintance that had been importing large volumes of these products into China, and had assured me he would find a home for as much as I could produce. As things go, he fell out of the market in 2010, and my sales channel dried up prior to getting the first harvest off the vines, so I was left with one of the largest plantings of Vidal in PEC without a home for the product. 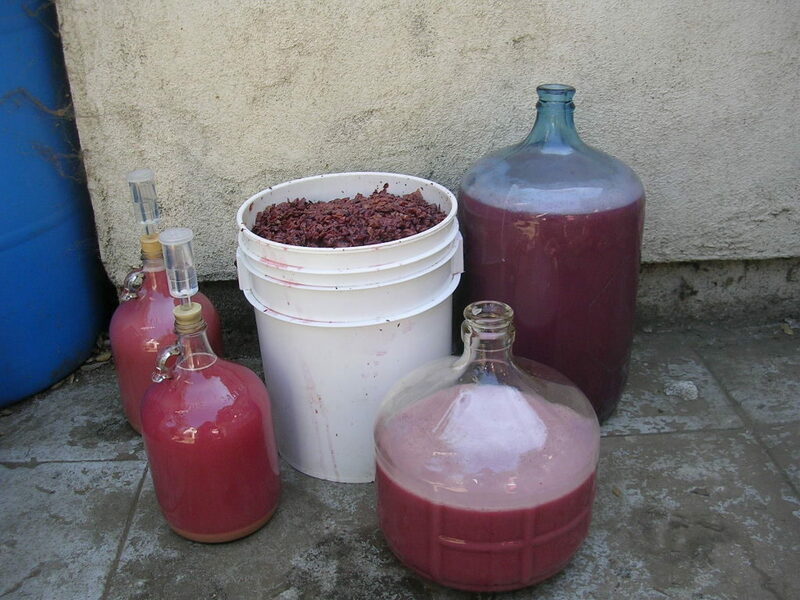 Around the same time, Hinterland Wine Company was setting up to offer Charmat-method production for other wineries. As it turns out, Vidal carries a marked acidity through late periods in the growing season, which makes it ideal as a base for late harvest and Icewine production (where the acidity helps balance the sweetness of these types of wines). Higher acidity levels also make Vidal juice ideal as a base for sparkling wines! Through fortuitous timing, Hinterland had a spot in their busy production schedule just in time for my first Vidal harvest, so the 2011 Vidal wine (after initial fermentation at LHV) went to Hinterland for Charmat processing, yielding the first vintage of Progression. 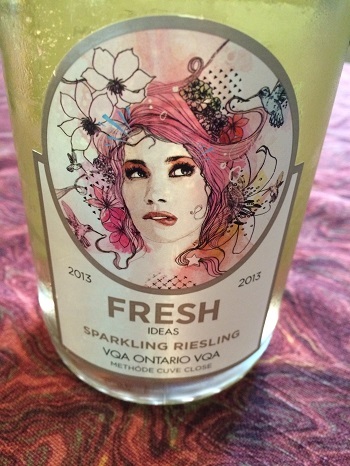 sparkling wines in the marketplace, with very few producers. Third, Charmat-produced Vidal sparkling allows for the delicate floral and mineral flavors typical to PEC-grown Vidal to shine through, without being lost to bottle-aging with yeast such as with traditional method production. Overall, the Progression is a unique, fun, refreshing, easily quaffable wine, that is available at a very reasonable price, all made from estate-grown fruit. And it is now made from start to finish at LHV. You can find Progression at the winery, via their website, through The Cellar Sisters agency or you can enjoy it at one of the many restaurants now serving it throughout Ontario.